Kim Cotton became Britain’s first surrogate mother in January 1985, when she gave birth to a little girl, dubbed Baby Cotton by the press. In the furore that followed laws were rushed through Parliament to ban commercial surrogacy. In 1988 Kim launched COTS (Childlessness Overcome Through Surrogacy) and to date COTS has had 1048 surrogate births. In 1991 Kim gave birth via C Section to twins Alice & Oliver becoming one of the first gestational surrogates to successfully have this treatment, for friends she had met through COTS. 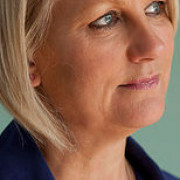 Kim now works full time for COTS and is as passionate about surrogacy as she was 33 years ago.